That magical, terrifying, intense time between the late 1960s and early 1970s saw change sweeping across America in steady waves. People were rioting in the streets protesting the Vietnam War. The Civil Rights, Women’s Liberation, and Black Power movements were at their apex. But quietly overshadowed by these, you don’t often hear about the Red Power movement or the Battle of Four Corners. Between the sleepy Northern California hamlets of Burney and Fall River Mills, the fires of change were also smoldering, poised to ignite. It would take 50 years, passionate people, and two bridges to finally make things right, one metaphorically between groups of diverse peoples, and another made of steel and concrete over a struggling wild trout stream. This is the story of how the restoration of a few miles of spring creek forged a path toward healing a badly damaged wild trout fishery, and helped heal the scars of racism and poverty while rebuilding California’s most iconic shrine to the love of fly fishing. I still have my faded copy of the December 1969 issue of Fly Fisherman where Richard May, one of the founders of California Trout, wrote an article titled “Miracle at Hat Creek.” Who would have suspected that story would inspire me to move to Northern California to work for years as a fly-fishing guide and regional manager for CalTrout? 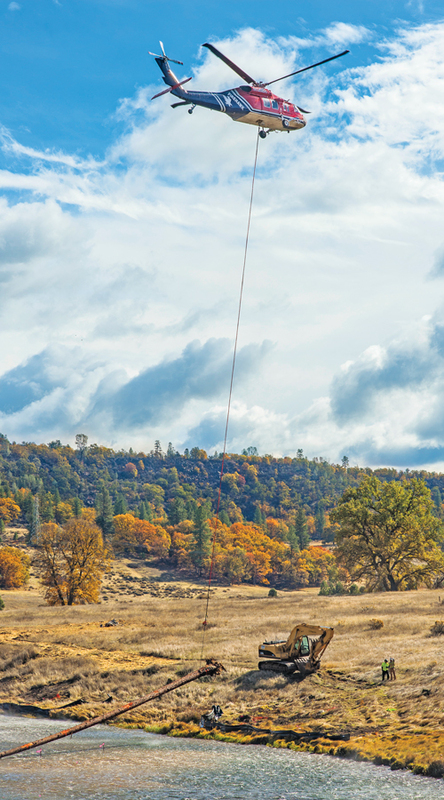 Like the tendrils of intertwining vines, it’s as if the Hat Creek wild trout fishery, CalTrout, Fly Fisherman, and Northern California fly fishers grew up together, leaning on one another all the way. I interviewed Richard May in 2007 about the work that first established Hat Creek as a wild trout Mecca back in 1969. In order to gain traction for their desired “demonstration project,” May and a stalwart group of wild trout fanatics including Jim Adams, Andre Puyans, Joe Paul, Bob Carroll, and Dr. Herb Joseph decided to affiliate with the fledgling conservation group Trout Unlimited (TU). Hat Creek was chosen for the experiment because it was small, just three miles long between Powerhouse 2 and Lake Britton, and in pretty rough shape. Fisheries management practices of the times had turned a beautiful trout stream into a terrific place to be a Sacramento sucker or pikeminnow, but not so much for trout. The Dec. 1969 issue of Fly Fisherman shows how May and his allies constructed a “rough fish barrier” (aka small dam) just above where the stream dumped into Lake Britton to keep unwanted fish out. Rotenone was used to kill what fish were there, and they removed six tons of fish corpses from Hat Creek. Only about two percent of the fish left were trout. The stream was then restocked with wild, native Hat Creek rainbows from upstream and wild browns from the nearby Trinity River drainage. Finally free of rough fish and visiting hatchery trucks, the wild trout population in Hat Creek famously exploded. Friends who were there in the 1970s speak wistfully of 100-fish days with the average-size fish well over 2 pounds. The success at Hat Creek—publicized in the first-ever national fly-fishing magazine—served as a blueprint for what might be accomplished through “wild trout management,” and created the opportunity to start a new conservation group, California Trout. Richard May headed CalTrout for many years thereafter. Despite these successes, another kind of trouble was brewing with the original stewards of Hat Creek. Hat Creek was part of their ancestral home, and the roots of distrust and suspicion toward outside organizations were firmly planted. Meanwhile, as tensions simmered between government agencies and the Illmawi Band, fishing in Hat Creek began to decline. The original fishing regulations for Hat Creek called for a two-fish limit, with any method of take—meaning bait fishing was allowed. The Illmawi Band played a huge role in the Hat Creek restoration project, which provided summer jobs, field work with natural resources professionals, a U.S. Forest Service Career and Resume Workshop, and a one-day fly-fishing school hosted by Clearwater Lodge on the Pit River. That, of course, benefited the Hat Creek fishery, but it turned out there were other issues in need of attention. One problem was that throngs of anglers were wearing away at the streambanks, and parking areas contributed to erosion and siltation. Cattle grazing was permitted along Hat Creek until 2001. Muskrats burrowed into the streambanks and then cows stepped on the burrows, collapsing them under soft, moist earth. Anyone who fished Hat Creek in those days has probably stepped into one of those streamside bottomless pits and felt fortunate not to have broken legs. All of these things worked in concert to gradually widen Hat Creek and make it shallower. But it was a vestige from the area’s fiery volcanic past that prompted the need for major renovation. Hat Creek sits atop an immense lava field known as the Modoc Plateau. Scientists theorize that one or more ancient subterranean lava tubes may have ruptured in the 1980s, feeding an estimated 60,000 cubic yards of volcanic sediment into the stream, smothering lush weed beds and the aquatic insects needed to sustain trout. This sediment plume has been slowly working its way downstream ever since, effectively suffocating plants and eliminating the bugs and fish from the inundated areas. The sediment progression turns the stream bottom into an aquatic desert where nothing can live for very long. In a few short years the trout population tumbled from over 5,000 wild trout per mile to fewer than 2,000, and the average size of the fish plummeted proportionately. Word travels quickly in the angling community. In 1969 the river became famous as a place to catch and release good numbers of big, lusty wild trout, but decades later it was just a place to practice your casting. Hat Creek had fallen from being a world-renowned wild trout fishery and the birthplace of wild trout management (and CalTrout) to just one more thing to feel sad about. A new vision for Hat Creek was needed, and CalTrout helped bring diverse groups of people together to find a common vision while also earning the trust of the native peoples. The resurrection of Hat Creek required a collaboration between CalTrout, Pacific Gas & Electric (the landowner), the Illmawi Band of the Pit River Tribe (original stewards of the river), UC Davis, and California Department of Fish & Wildlife. 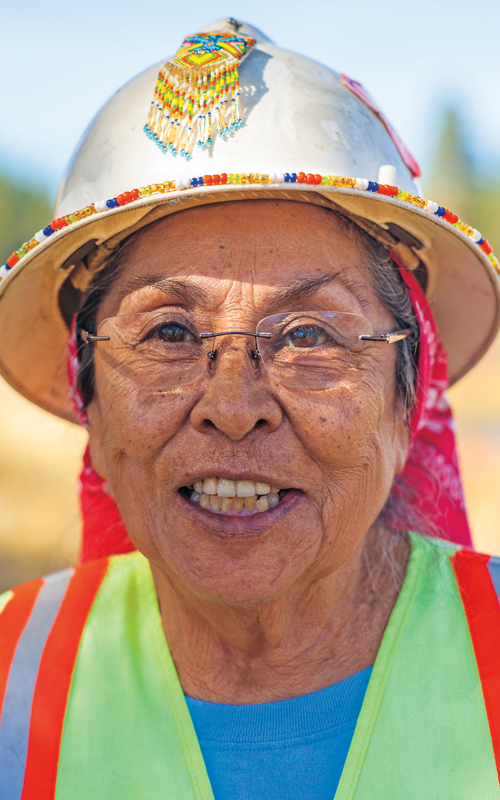 Lomakatsi Restoration Project helped design and coordinate the Tribal Youth Initiative and the Tribal Work Force Training Program, as well as the Hat Creek Riparian Restoration Plan. California Department of Fish & Wildlife (CDFW) helped with design and permitting of the project. Michael Dege with CDFW said, “A lot of the project was based off of the Fisheries Restoration Management Plan we had for Hat Creek. These were developed as part of our Heritage Wild Trout Program. 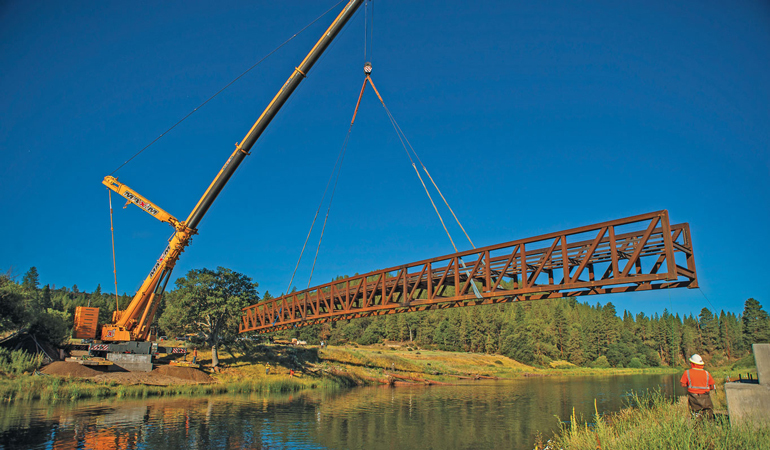 We became the lead agency to oversee the project’s environmental review process working with CalTrout. The new plan called for instream habitat and riparian restoration, new fencing and trails, as well as providing workforce training and employment for youth of the Illmawi Band of the Pit River Tribe. It projected bringing the wild trout numbers back up to at least 5,000 fish per mile by restoring 1.5 miles of instream and riparian habitat. This could be accomplished by adding large, woody debris to the stream, building a trail system and fences designed to spread anglers out, relocating the Carbon Bridge parking lot, installing a new bridge, and stabilizing streambanks by planting over 5,000 native plants, shrubs, trees, and grasses. It was a daunting to-do list, but with help from the Illmawi Band, the task became possible. The Hat Creek Youth Initiative was devised by nonprofit Lomakatsi Restoration Project for developing the next generation of conservationists and natural resource professionals. Their strategy involved engaging 30 underserved youth, and Pit River tribal youth. The Initiative funded two summers of full-time employment and job readiness training. Native youth were also provided with 100 hours of field mentorship with natural resource professionals, a U.S. Forest Service Career and Resume Workshop, a job skills clinic, and an “Introduction to Fly Fishing” day hosted by Clearwater Lodge on the Pit River. All of this was accomplished and more, with the side benefit of helping heal some of the prickly feelings between the native people and outside groups. Andrew Braugh, CalTrout’s Shasta/Klamath regional director was involved in almost every aspect of the Hat Creek restoration. Most of the project has focused on the midsection of river between Hat Creek Powerhouse 2 and Highway 299, the area known as Carbon Bridge (or just Carbon). There was a dirt parking lot along the stream and a historic bridge that had been removed in the 1960s. A key component of the restoration plan was relocating the parking lot and installing a new Carbon Bridge. “It’s a robust bridge,” admitted Braugh, “spanning 15 to 20 feet above the water. For the first time in years you can stand up there and see fish working the Carbon Reach. It’s a beautiful view, incredible. “Once all the sediment moved in, people stopped fishing there,” Braugh explained. “Anglers stopped using the area and you just had people driving down there drinking beer, shooting guns, and leaving their trash everywhere. You’d have cars parked two feet from the river. From a cultural heritage perspective, the Illmawi Band of the Pit River Tribe was appalled by the impact from rogue OHV users and trash being left behind. CalTrout and the tribe shared a vision for shifting the demographic toward user groups who really respected the fishery, the cultural heritage, the birds, and wildlife. “There are native burial grounds all throughout the Wild Trout Area,” said Braugh, “the sacred ancestral lands of the Illmawi people. The new trails and bridge keep angler traffic concentrated on an existing footprint. The tribe doesn’t mind anglers. Fishing is a good use of the land from their perspective. “Our partners at UC Davis Center for Water Sciences came in and took measurements and mapped streambed elevation prior to putting in the wood structures. The streambed was just flat. There was no habitat or velocity breaks for fish at all. After installing the trees, we measured again after one and two years, and the results were pretty compelling. We now have a much more dynamic channel and streambed. The large wood adds basic overhead shelter for fish, but it also helps narrow the channel and move sediment. Our hope is the added complexity and improved functional geomorphology will also jumpstart the natural propagation of aquatic plants. “A few years ago we did another pilot project that helped stabilize some of the streambanks on river right below Carbon and protect them from muskrats. We learned a lot, primarily that you can’t totally reduce the impact of muskrats. What you can do is make the whole system more healthy, more functional. In doing so the muskrats won’t have as much impact over time. Clearwater Lodge on the Pit River got involved with the project for all the right reasons, mainly to benefit the fishery and be good neighbors. The owner and affable hostess of Clearwater Lodge is Michelle Titus. “My involvement over the last couple of years,” said Titus, “has been in hosting the native youth. The Hat Creek Youth Initiative provided jobs for local Native Americans. The high school-aged tribal kids were doing hands-on restoration work. Each season I would treat them to a day of fly fishing. There would be groups of 10 to 14 young people and a bunch of my guides. We’d bring them to the lodge, feed them lunch, get them outfitted in waders and boots, and put them in Hat Creek so they could understand what all that work was about. We wanted them to have a good feeling for fly fishers and people who are stewards of the land and nature. We wanted them to understand that we love to fish, and that we catch and release. We were hoping to engender some love for the sport. There were a couple who’ve really gotten quite good at catching fish. “Our guides keep telling them, ‘You should become a guide! This is in your own backyard. Come! We’ll teach you how to fish!’ I’ve told them I’ll give them a free ride through my guide school if they’ll get their fishing skills down. That’s probably been the most rewarding aspect for the last few years, enabling these youth to get out and fish. A couple come back year after year. They know our guides and see us out on the water. They get very happy and excited. “UC Davis comes up and does the measuring of how the instream structures are reshaping the streambed, helping flows and fish counts. I always house the UC Davis staff anytime they’re up here. They’re like family now. “We encourage people to be happy about the changes that were made to Hat Creek. There were some old timers who thought the new bridge was an abomination, and it’s not. It’s just beautiful, and it fits. Hat Creek first exploded on the angling scene as a great place to fish during one of the more turbulent times in U.S. history, and then it eventually crashed. But in the 50 years since its inception, the merits of wild trout management have been firmly established, and those techniques have helped or saved countless wild trout streams all over the world. CalTrout was formed, and would eventually come full circle with its roots, the wild trout of Hat Creek. Bridges were built and remain strong over troubled waters, as well as between groups of people who have more in common than they once realized. And Fly Fisherman magazine is still going strong, leading the fly-fishing community into the next half century. *Chip O’Brien is the author of California’s Best Fly Fishing: Premier Streams and Rivers from Northern California to the Eastern Sierra (Headwater Books, 2010). He lives in Spokane, Washington.